Real estate investment trusts are a favorite among cash flow-seeking investors. By law, REITs must return 90% of their operating earnings back to shareholders in the form of dividends. Agency Mortgage REITs – Agency mortgage REITs hold mortgage-backed securities that are insured by the Federal Government through agencies like Freddie Mac and Fannie Mae. These securities are perceived to be safer because the risk of default is insulated by Freddie and Fannie balance sheets, which are further backstopped by the financials of the US Government. Agency paper is usually given a double or triple-A rating consistent with the US Government’s credit rating. Non-Agency Mortgage REITs – Non-agency REITs hold mortgage-backed securities that do not have insurance from the major mortgage agencies. The mortgages packaged into non-agency mortgage REITs are usually higher-risk, and typically offer higher yields to investors as there is no safety in the event of a major mortgage default. Agency mortgage REITs such as American Capital Agency (AGNC) and Annaly Capital Management (NLY) offer superior dividend yields to investors due to leverage. At present, AGNC returns some 15.5% to investors each year in the form of dividends – NLY yields roughly 13.2% per year. 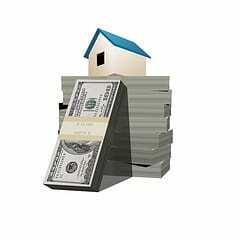 As individuals repay their mortgages, the cash flow is returned to the owners of mortgage-backed securities. In this case, the above REITs are the owners of the MBS products. Both AGNC and NLY use a substantial amount of leverage to boost shareholder returns. The standard leverage ratio is 5-9 to 1, meaning that for every $1 in equity on the books, REITs borrow $5-9 to purchase mortgage-backed securities. This leverage is obtained inexpensively in short-term lending facilities. AGNC, for example, borrows most of its funding for 1-5 years to invest in mortgages that mature in 15-30 years. In effect, agency REITs are a play on the yield curve as they borrow inexpensively on the short end of the curve, and “lend” more expensively on the long end. Non-agency REITs accept slightly more default risk and more interest rate variability (since the MBS products backing the fund are not insured by the Federal government) and typically use lower amounts of leverage. 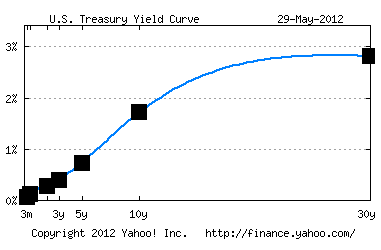 However, since non-agency mortgage-backed securities have a different risk-profile, the unleveraged yields are higher. Leveraging potential is slightly lower, though, so non-Agency REITS tend to yield just as much as Agency REITs with lower leverage. Rising Rates – If rates rise considerably, the cost of leverage is exceptionally large for REITs with higher leverage. Suppose that a REIT borrows funds at 3% for 5 years and invests in MBS at 5% fixed for 30 years. The spread between the cost of financing and the earnings from MBS is 2% annually. If short-term financing costs were to rise to 4% for 5 year issues, the profitability of a REIT would fall by half. The spread falls from 2% to 1%, meaning profits fall by 50%. Falling Rates – Falling rates are equally concerning for mortgage REITs. If rates stay low or continue to fall, borrowers will simply refinance – this is known as prepayment risk. When homeowners refinance, the loan is paid back immediately. Thus, funds that might have been invested in a mortgage earning…say, 7% for 30 years have to be reinvested in new mortgages that might yield only 5%. I attend conference calls for REITs regularly, and I’ve found these two risks to be the primary concerns of every leveraged mortgage REIT. In fact, mREIT managers routinely state that the best case scenario is one in which rates slowly increase over time. Large increases in rates in the short-term would negatively affect their borrowing costs, impacting earnings. Perennially low rates would increase prepayment risk, and reduce earnings as homeowners refinance into lower rate mortgages. A bet on any mortgage REIT is essentially a wager that rates will increase very slowly over the next few years. This would prevent massive refinancing, and also limit the risk of rising borrowing costs for leveraged REITs borrowing on the short-end of the curve. Do REITs Fit Your Portfolio? Personally, I think REITs make for an excellent wager in an environment where yields are depressed across the board. AGNC, NLY, IVR, and others’ double digit annual yields are very impressive, and unmatched by any other asset class. It comes with its risks – specifically rate risks – but the risk-to-reward may be larger than most expect. In fact, I think most of the risks to the business model are overblown. Thanks in part to their popularity and massive capital inflows, REITs have added new risk management personnel to hedge somewhat the risk of rapidly rising rates, as well as perennially low rates. As an industry, I find leveraged REITs less risky today than they might have been just a few years ago. Agency REITs are even safer than non-Agency REITs, since the risk of default is borne by the US government, not investors. Investors would be best to only put a small part of their total portfolio in leveraged REITs. Additionally, one should enter these kinds of trades only when the mREIT trades at or near its price-to-book value. A REIT trading at a premium of 40-50% of its book value faces greater price-risk on prepayments and rising rates in the event these risks play out. Luckily, mortgage REITs have most recently traded within a tight band of their book value. For income purposes, nothing will beat a mortgage REIT. High-dividend S&P500 components yield just over 3%, CDs yield roughly 2% for 5 years, and investment grade corporate bonds yield only 2.27% at their best for 5 years. Given the alternatives, I think a small position in mREITs with the remainder invested for capital appreciation to be far better than a portfolio of fixed-income products. A portfolio 10% invested in mortgage REITs and 90% stocks would provide more income than a portfolio 100% invested in corporate bonds. What are your thoughts on REITs? Are you a buyer? Full Disclosure: JT has no positions in the above REITs. In the interest of complete disclosure, he does own shares in AGNC’s parent company, American Capital Ltd. (ACAS). The College Investor is long AGNC. Though I don’t own any REITs at the moment, I have owned them off and on over the years, and as you say, they’re a great income investment. One question though: In the US, are the dividends paid by REITs taxed at ordinary income tax rates, not the (lower, for now) corporate dividend income tax rate? They are taxed as ordinary income – except that many return principal as well, so you need to pay close attention. It is usually beneficial to own these in a tax deferred account such as an IRA. Great article! I’ve never heard of REITs but will look into them now. Would you say these are best held short or long term? From your article it sounds like you’re saying hold on to them but pay attention to the 2 risks of accelerated rising and falling interest rates. I’ve held mine for over a year, and plan to continue to as lo as interest rates are friendly towards them as a class. I recently sold my entire position in CIM for a nice profit on its spike after getting an extension of 30 days.